Nearly 150 former diplomats and scholars from around the world have demanded the release of two Canadian citizens being detained in China. 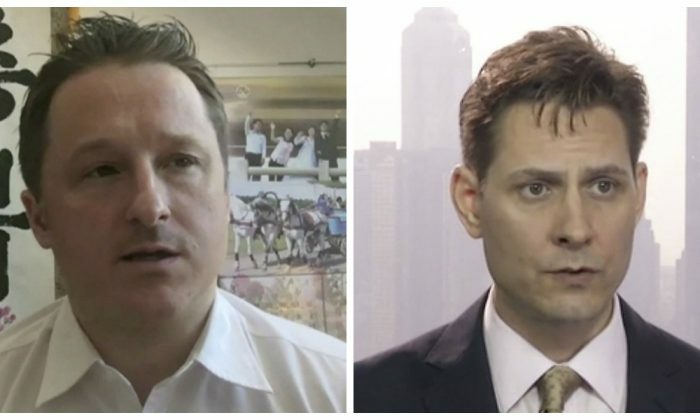 In an open letter published by different media, Chinese leader Xi Jinping is urged to immediately release former Canadian diplomat and International Crisis Group North East Asia adviser Michael Kovrig and Paektu Cultural Exchange Director Michael Spavor. Chinese authorities detained Kovrig and Spavor just days after Canadian authorities arrested Huawei Chief Financial Officer Meng Wanzhou at the request of the United States at Vancouver International Airport, on Dec. 1. Meng has been released on bail and will be starting court hearings for extradition to the United States. China defends its Dec. 10 detention of the two Canadians, claiming they pose a risk to national security. However, a few days before taking them in custody, China warned Canada of “grave consequences” if Meng is not released immediately. The signatories warn China’s detention of Kovrig and Spavor will only make China and the rest of the world “worse off,” and show the world “constructive work is unwelcome and even risky in China.” Kovrig previously met with Chinese officials, researchers, and scholars many times to discuss international issues. Some of the many high-profile signatories include Gareth Evans, former Australian foreign minister and Australian National University Chancellor, Gary Locke, former U.S. ambassador to China, and John Garnaut, senior adviser to former Australian Prime Minister Malcolm Turnbull. Many of the signatories say they personally knew Kovrig when he worked as a diplomat in Beijing and later as a senior Northeast Asia expert at the Belgium-headquartered nonprofit, International Crisis Group. The Australian government joined Canada, Japan, France, Germany, the United States, United Kingdom, and European Union in expressing concern about the detentions on Dec. 30 but only after a group of 30 scholars, foreign policy experts, and former diplomats petitioned for Foreign Minister Marise Payne to do so earlier that same day. Australia has since been criticized for failing to demand the immediate release of the Canadian detainees, which the original petition requested. Charles Sturt University Ethics professor Clive Hamilton believes the Australian government fears publicly making strong statements about human rights in China would bring diplomatic backlash from Beijing authorities. New Zealand’s government has also not demanded the immediate release of the Canadian detainees. Hamilton believes the Chinese Communist Party (CCP) has infiltrated New Zealand’s government so deeply, Kiwi politicians no longer feel compelled to speak up about China. New Zealand Foreign Affairs Minister Winston Peters told RadioLIVE in November 2018 he was worried about the case of Jian Yang, a New Zealand member of Parliament who confessed to teaching English to spies in China. Hamilton believes the impact of former Australian Prime Minister Malcolm Turnbull’s Foreign Influence Transparency Scheme is still unclear. Mirroring laws in the United States, the scheme broadened the definition of espionage and required people working for foreign countries to register as foreign agents or face criminal prosecution if found to be meddling in national affairs. Turnbull introduced the scheme in June 2018 to fight the “rapidly escalating” threat of foreign interference and the “disturbing reports” that the CCP had interfered with the nation’s media coverage, universities, and the decisions of Australia’s elected representatives.